Sorry, we currently do not have any public courses scheduled for the Mac OS Lion level 1 course in Sandton. Please contact us to see if we can put one on the schedule for you. 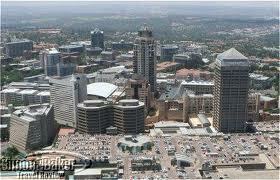 We offer these courses in Sandton. Mac Operating System Beginners course is to introduce any new user to their Mac computer and operating system. They will also become familiar with some basic but essential computing skills on the Mac platform, such as sending / receiving email and browsing the internet. This training is intended for the first-time Mac user or for those users that are upgrading to the latest operating system and would like to be guided through all the new features and changes. No experience necessary. Ideally the candidate will bring their own laptop (or one can be provided). Allocating an application to a "Desktop"
Full-screen applications and "Mission Control"